Innokin continue to redevelop themselves as a company time after time, rightly choosing to never rest on their laurels despite their popularity in the vaping community. In a complete departure from their iSub range of tanks,they have created their first hybrid:The Axiom. 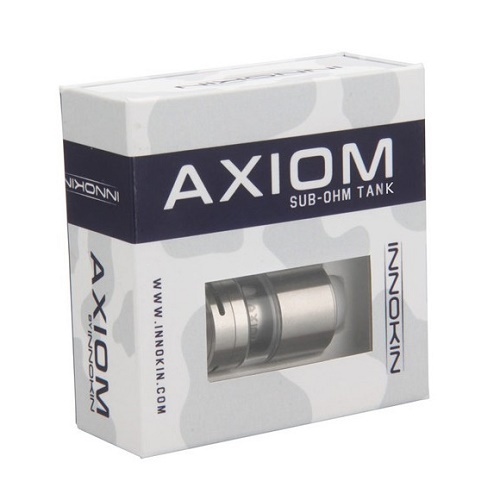 Designed in Southern California the Innokin Axiom Two Post Sub-Ohm Tank System is Innokin's very first Sub-Ohm tank and RTA (rebuildable tank atomiser). It is a stunning receptacle, measuring 22mm in diameter with a 3.5ml reservoir and beautifully bevelled short drip tip. The Axiom features that previously mentioned hybrid base that utilises either the (provided) two post RBA (rebuildable atomiser) deck or the included Axiom 0.5 ohm coil, allowing pre bought or home build options. 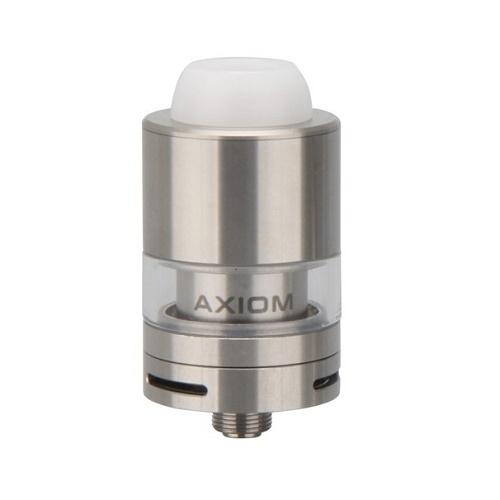 The Axiom also comes with a ceramic single coil adapter that closes off one of the dual airflow holes configuring the RBA deck for single coil mode.By unscrewing the RBA deck,the pre bought coils can be used instead if so desired. It's a further departure from the iSub system as the coils are no longer part of the connection to the 510. The Axiom 0.5 ohm coil features a dual horizontal wrap with Japaneses organic cotton and the recommended wattage is between 20-40 watts. Innokin have done it again, providing a visually stunning design with performance to match and all at a fantastic price point,especially when you consider the machining and design that has gone into this product.